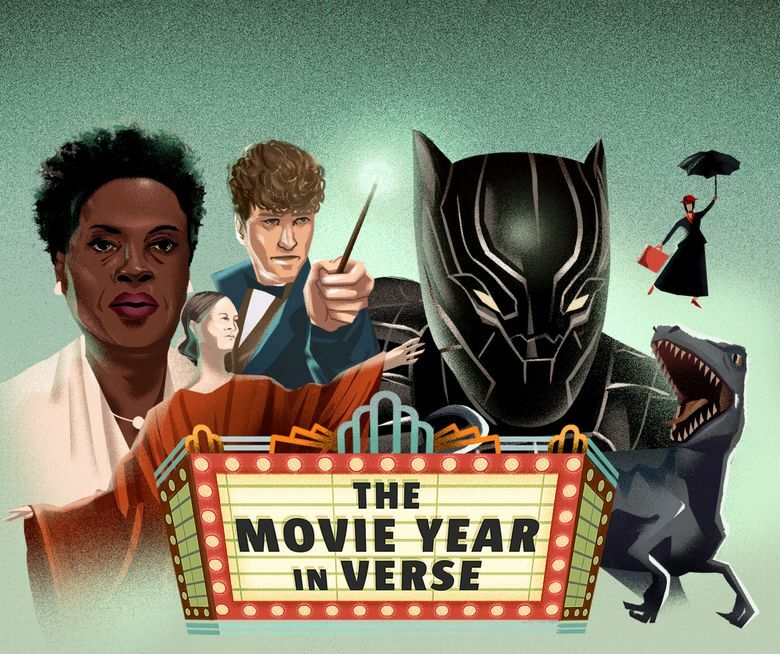 Every December, Seattle times movie critic Moira Macdonald pens a rhyming tribute to the year in movies. For me to spread my voice in rhyme. The good, the bad, the in-between! I’m still stressed from “A Quiet Place”). And bowls of fresh-popped popcorn pass. The films beloved by you and me. 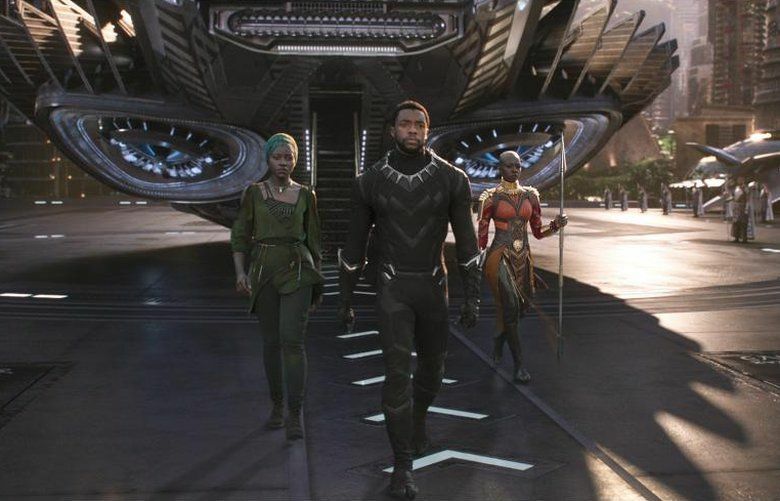 Did any thrill more than “Black Panther”? Than Cruise’s stunts in “M:I 6”? Than Mary Poppins on a kite? Or Paddington, in merry chase? Or light on Saoirse Ronan’s face? Glenn Close’s “Wife”? In short, divine. “Tag” was lame, but had Jon Hamm. “Jurassic World” ground out one more. And — “Mamma Mia!” — there was song. Blake Lively’s suits in “Simple Favor”? And oh, the gowns of “Ocean’s 8”! “Suspiria”? Too much, by half. “Rampage”? Well, it made me laugh. We’ve seen the last of “Fifty Shades”! And hope you found some films to prize. It brings a big-screen “Downton Abbey”! Author’s note: With apologies and respect to Roger Angell, whose annual “Greetings, Friends!” poems in The New Yorker inspired my own annual tradition of verse.